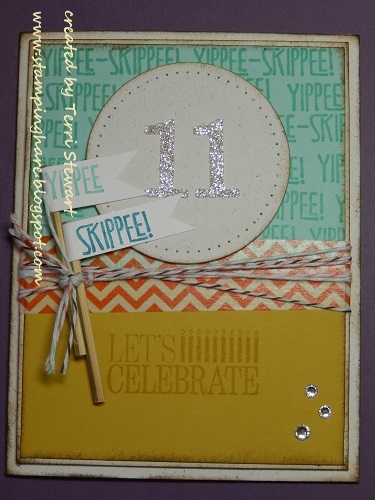 This card was made for a family member who recently celebrated a tween birthday. 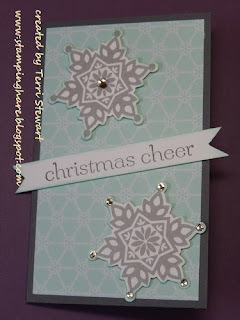 I was inspired by a card made by Heather Klump (see the orignal here). 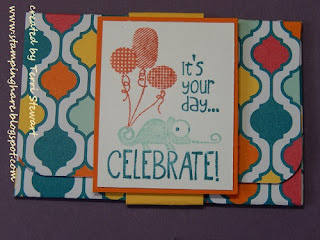 One of the things I love most about Stampin' Up! 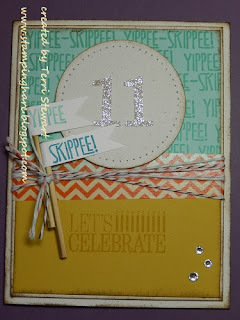 is that SU products coordinate so easily...on this card I used pool party ink on pool party cardstock to stamp the yippee skippee background and yippee flag; I stamped the Let's Celebrate greeting in summer starfruit ink on the summer starfruit cardstock. 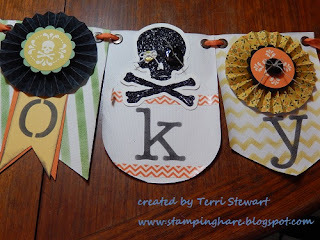 The orange chevron patttern is actually washi tape! 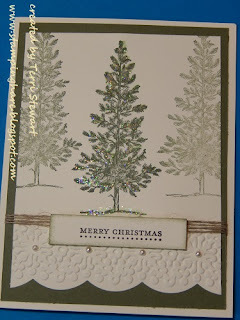 After I put the card together I wasn't thrilled with the silver glimmer paper for the numbers and wished I had realized sooner that champagne glimmer paper might have been a better choice. These items can be ordered on my online store, click here. 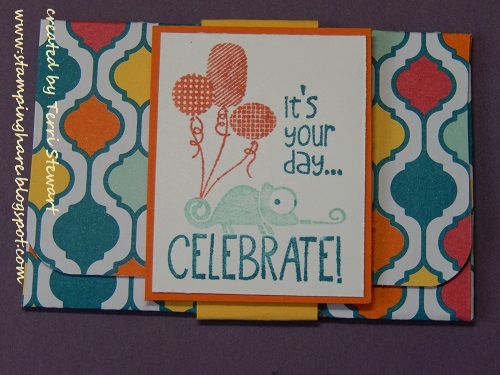 Summer is quickly fading, I've returned from a family vacation, and the school year is under way....meaning I can focus on stamping again! 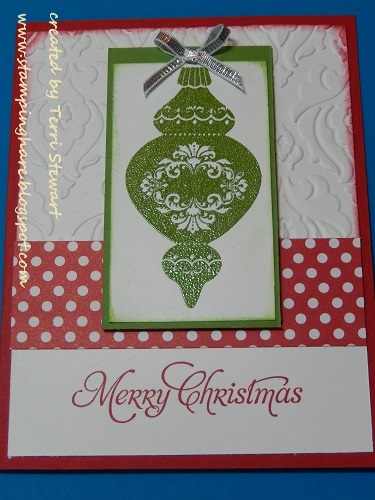 I have added classes to my schedule---a gift card class and Christmas card classes, details below. And don't miss the latest news and offers from Stamin' Up! at the bottom of this post. Christmas cards, September 10, 7 to 9pm; make 4 cards, 2 each of 2 designs. Tuition is $10 (or FREE with a minimum $25 order). Gift card class, September 16, 7 to 9pm; make 3 different gift card holders. Tuition is $10 (or FREE with a minimum $25 order) and includes the patterns for each project. 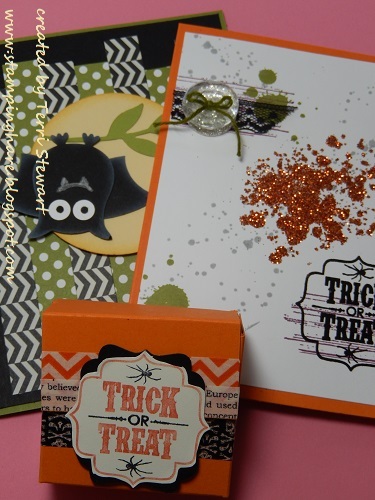 Halloween cards and treats, September 18, 7 to 9pm; make 2 cards (1 each of 2 designs) and 2 treat bags/boxes (1 each of 2 designs). Tuition is $10 (or FREE with a minimum $25 order). Autumn Wreath, September 23, 7 to 9pm; details on tuition fee coming soon. SPOOKY banner, September 30th, 7 to 9pm; tuition is $30 and includes the Build a banner kit and the Halloween banner accessory kit. 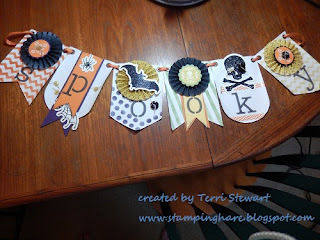 Use the leftover 18 flags for another project! 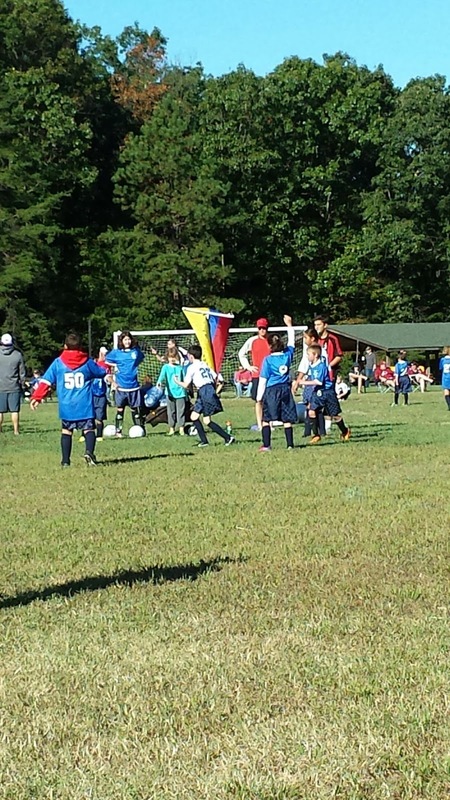 RSVP and tuition payment due by September 11th. Cupcake punch card class, October 1st, 7 to 9pm; tuition is $10 (or FREE with a minimum $25 order). 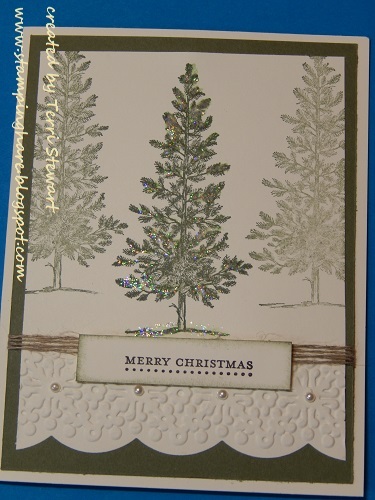 Christmas card class, October 15, 7 to 9pm; tuition is $10 (or FREE with a minimum $25 order). Thanksgiving/Thank you card class, October 30th, 7 to 9pm; uition is $10 (or FREE with a minimum $25 order). Shop online 24/7 here. Use this hostess code 3JXFW7Y4 and your order ships right to your door---and it counts toward any class minimum purchase! Butterfly bundle sale...buy the Papillon stamp set (clear or wood) and coordinating bitty butterfly punch bundle and save 15% through September 30th. 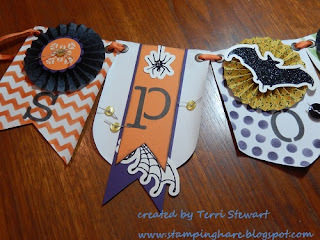 Autumn is the theme of the September's Best of...stamp set; Halloween was the theme in August. 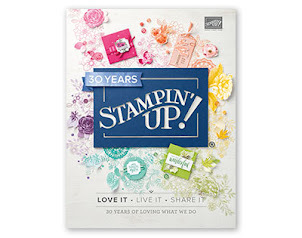 All Best of stamp sets are available through March 2014. 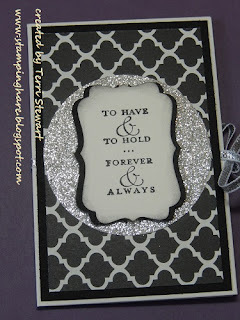 Another photopolymer stamp set is now available for purchase...this one is all about saying Thank You. New items have been added to the Clearance Rack....quantities are limited, when they're gone, they're gone. Shop now!